I got my A-Case almost two years ago. It has served me very well since then. I've worn in rain, snow and heat. 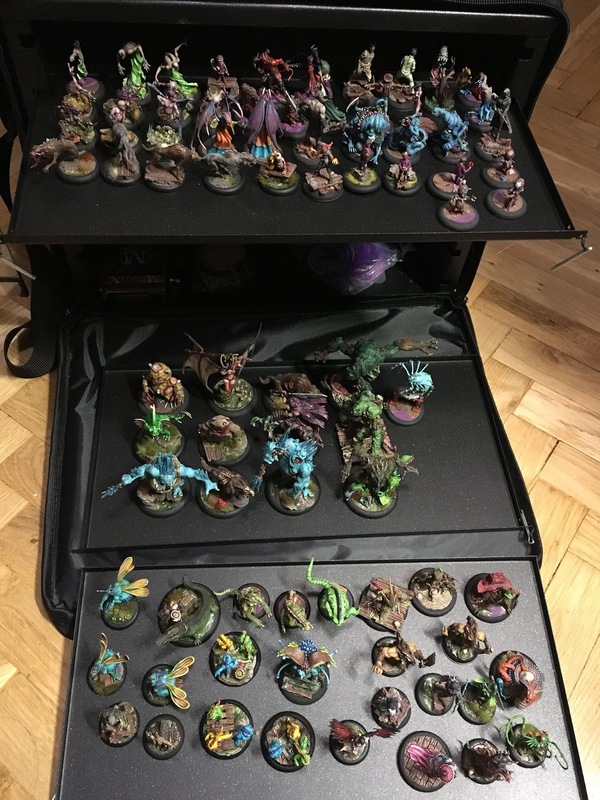 I traveled by plane to a tournament abroad, and it perfectly fit both under the passenger seat and in the luggage storage on board. 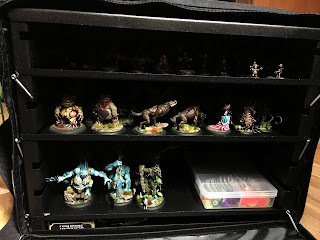 After using other alternatives (foam, plastic containers) I was really happy to make the switch to a metal case and magnetize my minis. What is more, after all this time, the case still looks good as new and there is no wear and tear visible. I spend long hours making sure my minis are painted to a high standard and really hate it when there are accidents and the paint chips off or the minis or when they get damaged. Using magnets for keeping minis safely locked in the bag has been a blessing. I've had no problems since I started using it. Yet, every rose has its thorns. After a while when my collection started growing exponentially, there wasn't enough space to pack all my minis and I had to decide which ones are going to a tourney and which are staying in the glass cabinet. 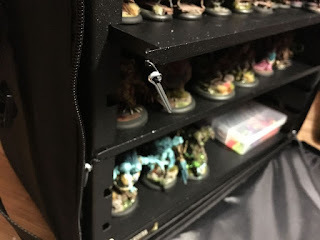 Malifaux is a skirmish game and requires only several miniatures in a game but you want to make sure you have more options when building competitive lists. Also, while the minis were kept super safe in the bag, after some time the shelves started feeling a little clunky. Not to a degree which would make using the case inconvenient but still, it was a factor and I had to always bear in mind the fact that I need to be extra careful while sliding them in or out. The case also has an external pocket that can fit small bits like tokens or measuring gadgets. Useful but that's never been enough to store all the game aids I wanted to take with me to a tourney. Those are not big problems by far. Rather, as mentioned earlier - small thorns on a pretty rose. I realize, these may seem like your typical "first world problems". Still, despite these minor issues I've been very happy with my bag. That's why when I learned that the company is launching another Kickstarter with new, improved versions of the bag, I was immediately interested. Thanks to the creator of campaign, Olo, I soon received a parcel with my carrying case. There are three versions available in the campaign (more on that later), and I opted for the middle one - The messenger. 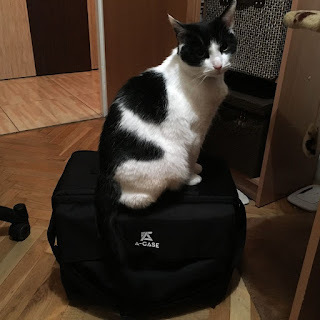 It's obviously bigger, as you can very well see in the picture above in which my old case easily fits into the Messenger. Its dimensions are: height 31,5cm/12,40in, width 40cm/15,74in, depth 21cm/8,26in. It means it can still be used as carry-on luggage on a plane. But it's not all about the size here. I just love the new material. Instead of plain silver galvanized steel, we get powder-coated steel trays in powder-coated aluminum frame. It has an incredibly luxurious feel to it. It looks very elegant and feels much more solid than the previous version. The trays are not only wider and deeper. Their movement is just flawless. They slide in and out easily without any hitches. It's so satisfying, knowing that your precious minis are easily accessible and you don't need even take into consideration how fast/slow/at what angle you pull on the tray. Just like with the older version, there are metal bolts to keep the trays in place. There is one more thing - rubber attachments that keep them connected to the trays at all times. A clever solution that allows you not to worry about losing them. Inside, there are 7 slots for trays. It means that you can customize the height of each tray. At this point of the KS campaign a third one has been unlocked and that's a perfect number for me as a Malifaux player. However, if you feel you need more options, additional trays can be added to your KS pledge. A few words should be written about the price-quality ratio. Let's be honest - wargaming is not a cheap hobby. Some people pay as much as $100 or more for just a few, or even for a single miniature (the author of this review is guilty as charged!). 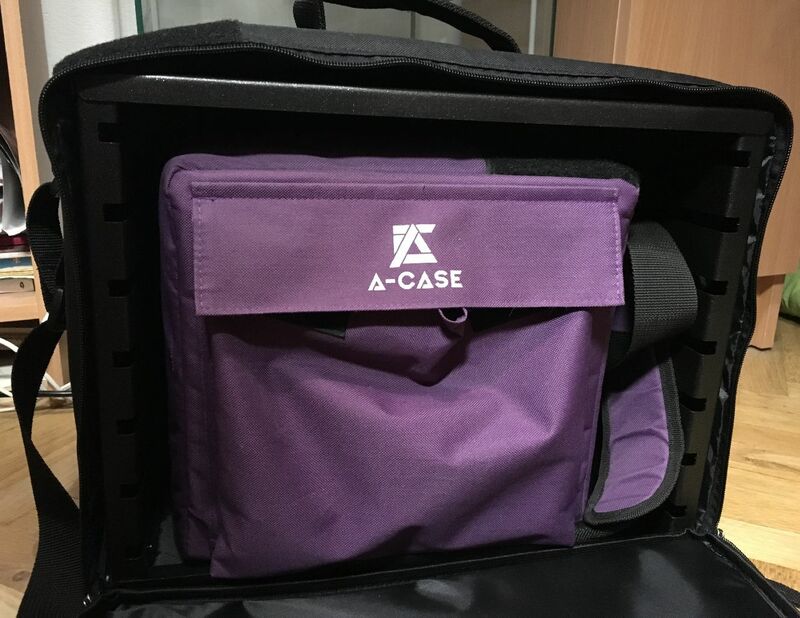 What should be stressed is that buying A-Case is a long time investment. My previous case lasted almost 2 years without any problems and I expect to get even more out of my new one. As such, paying $139+shipping for a product that will last for years and will ensure the safety of my miniatures is a reasonable expense. The creators have done their homework and managed to turn all problematic points into major strengths. I honestly can't think of any way in which this carrying case could be improved. Maybe adding Bluetooth, WiFi adapter, and remote control? It's a wonderfully well designed and polished product. The creators have listened to all the feedback they've gathered over the years and they've been respectful towards their clients. A-Case is not a global company. It's basically just one guy with passion who makes the best out of working with his target group, and I can honestly admit that I feel happy to be part of this community. P.S. The KS campaign runs until Mon, April 22 2019 4:05 PM CEST. 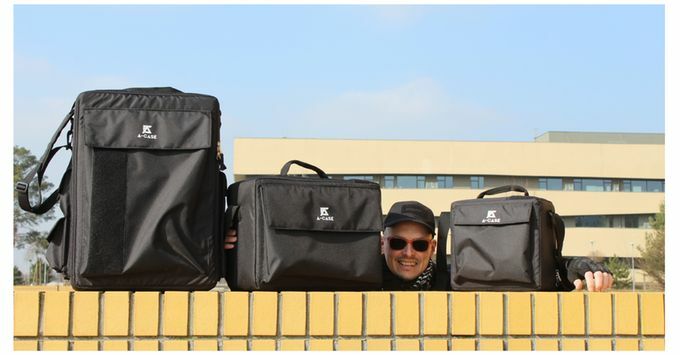 Make sure you check it out as they have two other carrying cases available. Victory 2.0 is an improved version of the small one I used to use. Perfect solution for small skirmish games. The other one is Kane - a true beast designed for those who want to carry really huge armies.